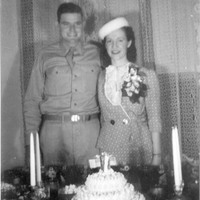 “Delbert [Bill] Sheads and Doris Hollis, Wedding, World War II,” braddockheritage.org/, accessed April 24, 2019, http://braddockheritage.org/items/show/74. Delbert [Bill] Sheads was drafted when he was 19 years old and inducted into the U.S. Army in January 1943. and was assigned to the 113th Armored Cavalry Reconnaissance Regiment. He and his girlfriend, Doris Hollis, attended Fairfax High School together, and were engaged before Bill left. 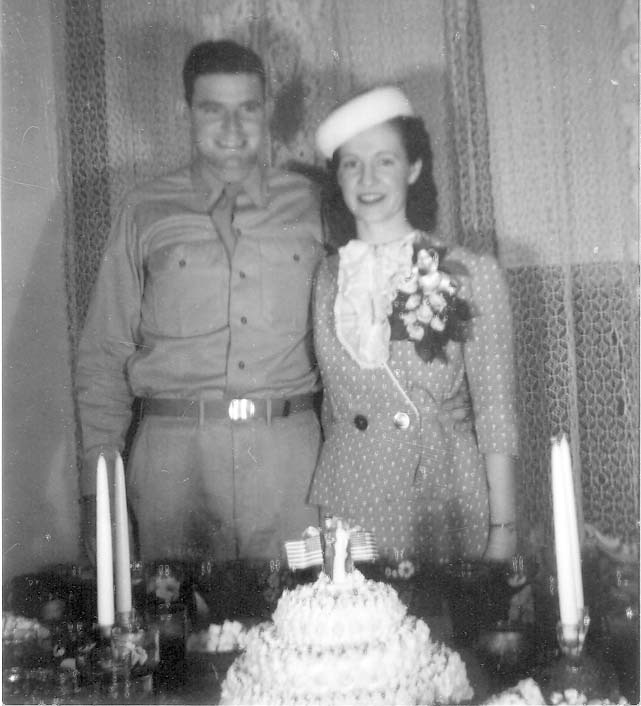 They decided to marry when Bill came home on a ten-day pass in July 1943 before going overseas to Europe. They rushed to Falls Church for blood tests, and then to the County Courthouse in Fairfax, which was closed. Mr. Tom Chapman, Clerk of the Court came to the rescue, unlocked the courthouse and gave them their marriage license. They were married on July 30 in the old Good Shepherd Church, located where the current Twinbrooke Shopping Center now stands. 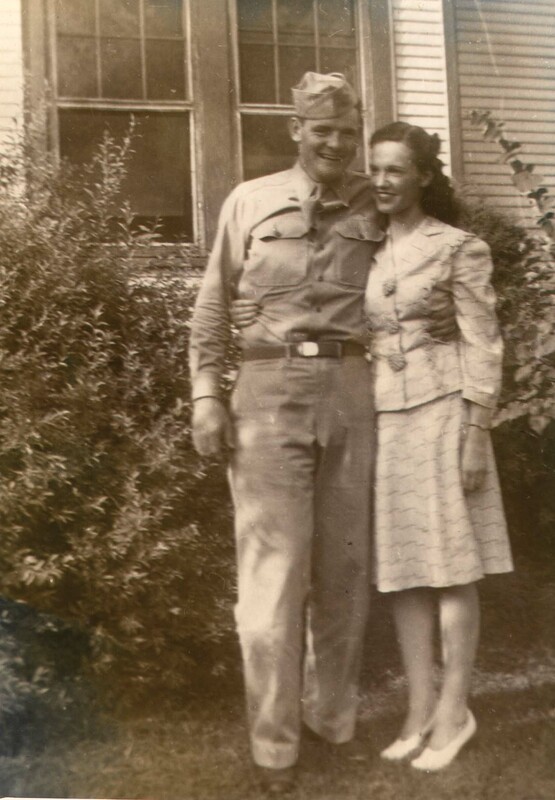 While Bill was deployed, Doris worked at Ft Belvoir as a typist and secretary.